This isn't a particularly deep episode and there isn't even much character development but it is fun and there are some really nice bits. The Enterprise is scheduled to rendezvous with the supply ship Biko (perhaps after Stephen Biko, the South African anti-apartheid activist who was assassinated). Since the ship is delayed the crew have 48 hours to do what they like and what they like is quite interesting. The majority of the story centres on Worf and Alexander. 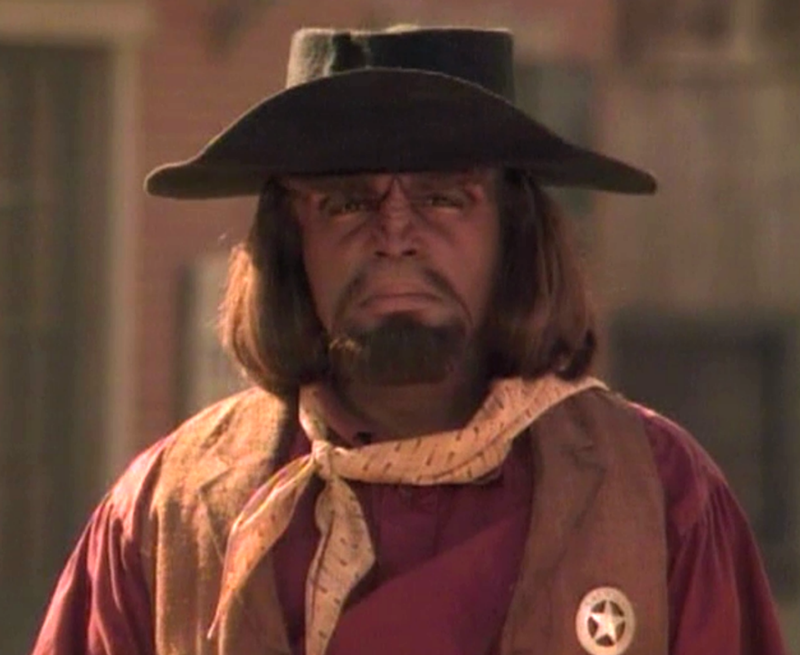 Alexander has convinced his father to join him in the Ancient West on the holodeck despite Worf's vain attempts to find work instead. Once in the game Worf starts to enjoy himself but things change when the time off fun chosen by La Forge and Data turns fantasy into reality. It is telling that LaForge and Data decide that their recreation is trying to see if Data can be the ship's emergency back-up. It made me uncomfortable that they were using Data as just another computer and LaForge mentions this fact. Data doesn't seem to be bothered but then he has no emotions so is this exploitation or just good planning? The result is somewhat predictable as the input is reversed and Data starts to take over some of the ship's less critical functions, like the holodeck. What was fun becomes deadly as holos of Data start to become the characters. It certainly would not be fun to face a sharpshooter with the speed and accuracy of an android. Of course all's well that ends well and no one is seriously hurt. The western bits were classic and I'm sure the writers had some fun with it. I particularly enjoyed Troi as the "mysterious stranger" talking with a Texan drawl and shooting/threatening the right people at the right time. Worf was suitably Worf and Alexander had to coach him in the rules of Westerns. Barclay's additions to the program were sexist but still classic western and Worf's reactions to Annie, not to mention Data as Annie, were fun. It was amusing to see Data as different characters and also to watch those characters leak into his speech and mannerisms. I bet Brent Spiner had a blast. I very much enjoyed the beginning piece with Picard trying his best to play his pan flute while the crew interrupts him. He is somewhat miffed when Beverly asks him to be a butler instead of the lead in the play "Something for Breakfast" which she is trying to produce. That is how she is spending her time and she has dragged Riker into it. Riker spouting Data's ode to his cat was a great bit. Deadwood was the name of the town in Alexander's program. Deadwood was also a great TV show about that same town. If Eli Hollander is the meanest, toughest gunslinger in the West then why does his 'Pa' have to come and save him? Well, Alexander did write the program. Another great bit was the replicators on several decks only producing cat food since Data has been trying to find a mixture finicky Spot might like. 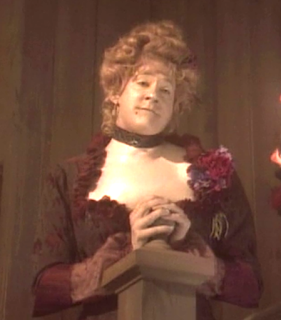 I think someone should have a word with the holodeck engineers. They are seriously unsafe. The safeguards are always failing. It was nice touch to have the Enterprise sail off into the sunset.